The site at 388 Pitt Street, Sydney, for the Civic Hotel was purchased by Tooth & Company in 1937. 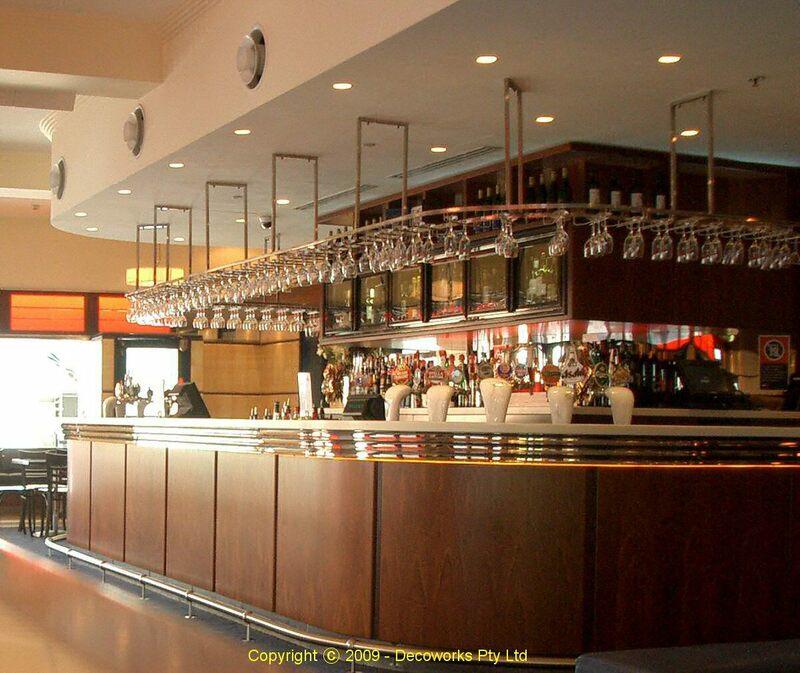 The license was acquired in September 1940 when it was transferred from the City Railway Hotel on Castlereagh Street. 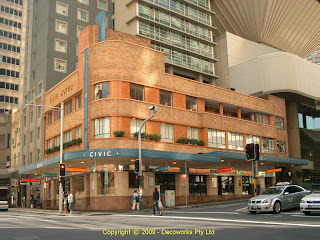 The Civic Hotel was sold in August 1982. On completion of rebuilding in September 1940 to a design by R.A. Provost and Associates the hotel was a three storeyed brick stucture, with a flat concrete roof and a fully tiled ground floor exterior. The architectural style is known as P. & O. Ship Style because of its similarities to ocean liner forms. The builders were William Hughes & Co. 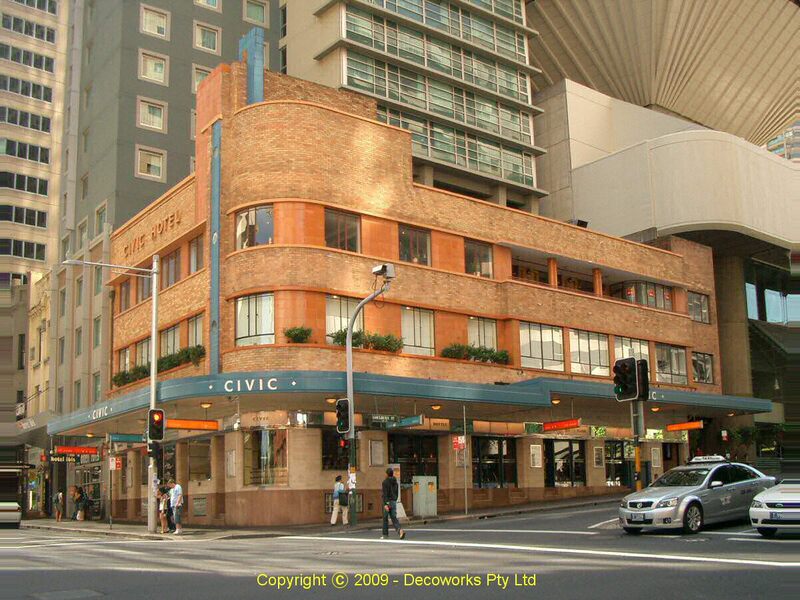 The Civic Hotel was the finest of five hotels constructed in the interwar Functionalist style in the city during a short period between 1938 and 1942; the others are the Australian Hotel (Broadway), the Hollywood Hotel, the Clare Inn and Sutherlands Hotel. The Civic Hotel was the last purpose built hotel in the city and its location reflects the former prominence of the district. Significant for structural features such as a cantilevered section in Goulburn Street. More Art Deco info can be found at DecoWorks Pty Ltd.